9 Benefits of Mantra Meditation - Improve Your Life! 9 Benefits of Mantra Meditation – Improve Your Life! 1What benefits can you get with mantra meditation? 1.9.1Help Gostica raise the vibrations and SHARE this article with your family and friends. The mantra meditation can provide to our body a number of benefits that can improve our lives. With it we can enjoy physical improvements, but mainly mental, thanks to which we can live more healthy. What benefits can you get with mantra meditation? Combining the sounds, breathing, and rhythm, mantra meditation can concentrate the flow of energy in our mind-body circuit, allowing us to adjust the chemical reactions in our body, adjusting perfectly breathing contributes to a natural reduction of fear and despair, which are reasons of problems for our body. By balancing the nervous system, meditation allows us to clear the level of stress and tension usually high in most of the people in the hectic modern life. It also balances the functioning of the endocrine system, which normalizes the production of hormones, which generates a general wellness system. Meditation helps us to free ourselves from the concerns and fear of aging and death. We begin to understand the eternity of the soul, and so we understand that the neurotic and stressful habits that sometimes we do not need. We will then return to understand what is essential and will eliminate unnecessary or harmful habits. Just as a captain sets sail in favor of the wind, mantra meditation will take us from stormy seas to clean and calm waters. Chanting the sacred sound of the mantra we project ourselves toward a sense of independence and a sense of inner satisfaction. We will not moan over more than what we have, but we’ll be fine just as we are. Singing the mantra meditation is a pleasure that is beyond the senses, takes us beyond time and space, bringing a calming effect on our person. In fact, it brings us to merge our identity into infinity, leading us away from the mundane world in a spiritual space where the sound you hear is God. While the early stages of mantra meditation tend to free our minds from stress, then it changes our perception of ourselves and makes us seem no different from God, awakening within us the light and divine love. When our spiritual identity is awakened, our hearts are in turn woke up and increase our capacity for compassion and love for others. It ‘s all in the hypothalamus. This gland in the brain is responsible for the communication between the nervous and endocrine system, controlling the chemical messages that are distributed in the body. These messengers, such as serotonin and dopamine, are also known as the hormones of happiness, for the impact they have on our mood. The hypothalamus is, therefore “the office” which deals with many bodily functions which seem automatic, such as temperature regulation, metabolism, and nervous system, as well as to regulate our appetite and our rest. What is not often mentioned is that, however, everything is generated by respiration. Breathing, in fact, helps to fix all the rhythms of our body, and with the mantra meditation, we can get a proper breathing pattern, which helps the hypothalamus and therefore the nervous system to function properly, which results in greater health and more immunity to disease. One need not be professional singers for mantra meditation. We must not store complex texts, difficult harmonies, and we must not make strange acute or solos. Works to do it alone or in groups, on soft voice or loud, the important thing is to do it with your heart and mind. You simply want to do. Just it needs a bit of time and a bit of will. 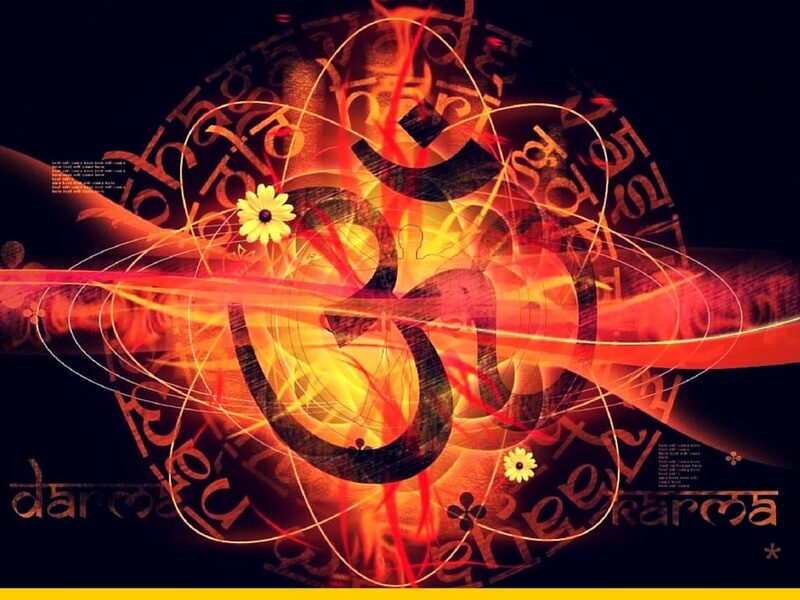 The chants of mantra meditation benefits cannot be laid down at the table but must be done through devotion, faith and constant repetition of the Mantra principles. Pronunciation enunciating the mantra language touches on some points of the mouth, sending the signals to the hypothalamus which then sends certain chemical signals to our brains, and in general to the whole body. It may seem as if we are pressing the keys of a piano and every pressure we created a process and a reaction that brings inner well-being. Our thoughts affect our mood, our attitude, and our general tenor. Our thoughts are silent sounds and these sounds are electromagnetic vibrations. The more refined our thoughts, our vibrations are higher, and higher are our vibrations, as we get closer to our divine nature. By vibrating then a certain combination of sounds, we can improve our intelligence and awareness levels. By chanting the mantra, then, we can control our moods, allowing us to increase our splendor.